The Falcon is here and primed to complete any job you may have. 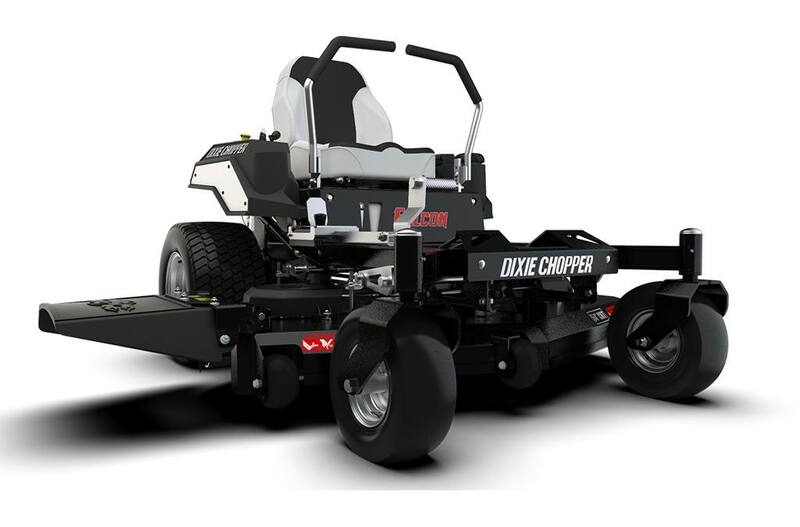 Stacked with commercial components, the Falcon brings more speed, power, performance, and comfort to your mowing experience. Demonstrated Power – Equipped with industry preferred Kawasaki FR and Kohler 7000 Series engines for maximum performance up to 23 horsepower. Deep Deck – Offered in three cutting widths (42", 48" and 54"), the Falcon deck provides a deep 10-gauge fabricated steel deck to power through thick grass, leaving you with a manicured lawn. Smooth and FAST – The Hydro-Gear ZT-2800 trans-axles deliver exceptional steering up to 7 miles per hour. Utmost comfort – With adjustable steering levers and an ultra-plush seat, the Falcon delivers remarkable comfort. 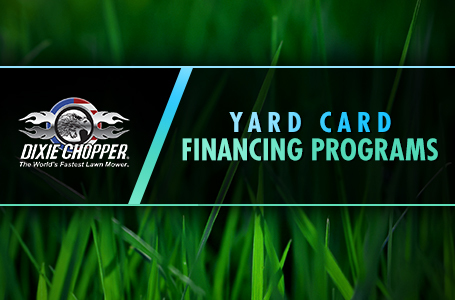 Deck Spindles – Maintenance-free spindles allow you to spend less time servicing your mower, and focus on mowing. Cutting height: 1 in. - 4.5 in. Blades: (3) - 2.5" X 14.5"
Overall width (chute down): 57.5 in. Overall width (chute up): 47.6 in.